Red Rover is a driving game on Steam that drops you in the seat of a very overpowered Mars rover and lets you explore the actual surface of the red planet. 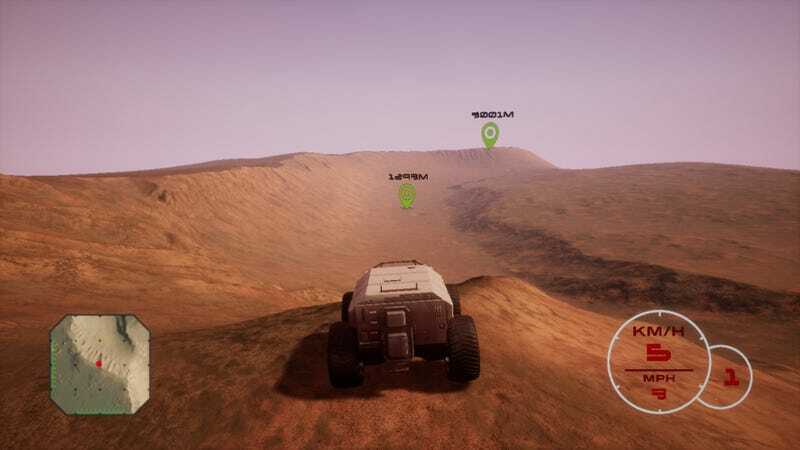 With support for Oculus VR, Red Rover doesn’t exactly give you much to do while you’re down there, but the hook here isn’t the variety of mechanics, but the fact the game uses NASA’s HiRISE satellite data to create Mars in its entirety, from pole to pole UPDATE: recreate the parts of the surface of Mars this data allows. As more terrain is captured by the program, the game will hopefully be able to add to this. It’s out now, and for $5 there are worse ways to explore a real planet.